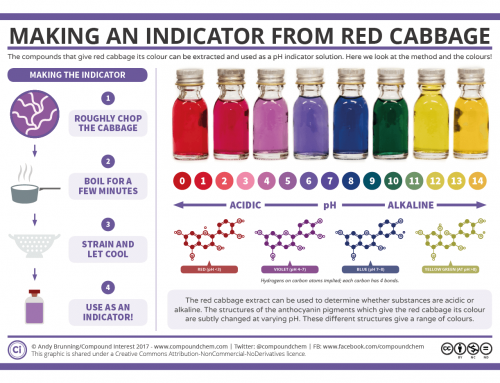 Knowing the chemicals behind the colours is all well and good, but why do they produce these different colours? To explain that, we need to talk about the interaction between light and the various chemical structures. 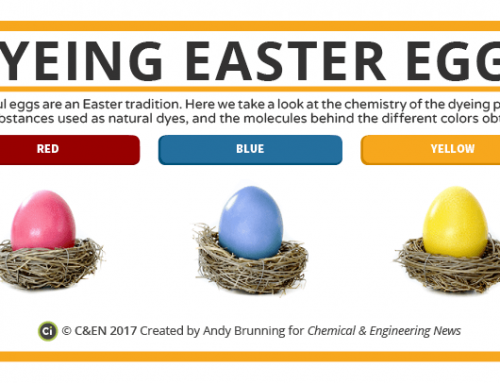 In general, chemicals are coloured because they absorb some wavelengths of light, but not others. 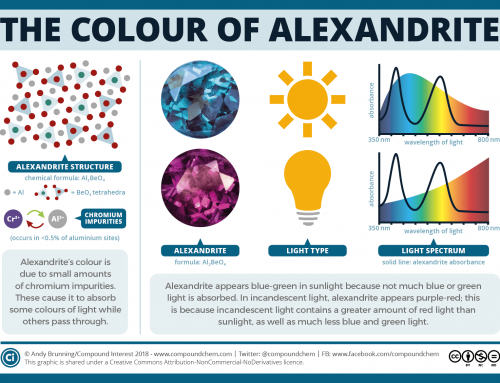 Highly conjugated molecules – that is, molecules with a large number of alternating double and single bonds – can absorb wavelengths of light in the visible range of the spectrum, causing them to appear different colours depending on the precise wavelengths of light absorbed. 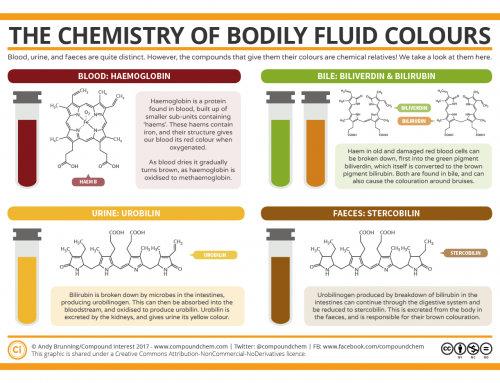 So, the dyes in our highlighter inks are coloured due to their large number of alternating double and single bonds. But that doesn’t really explain their fluorescent appearance. 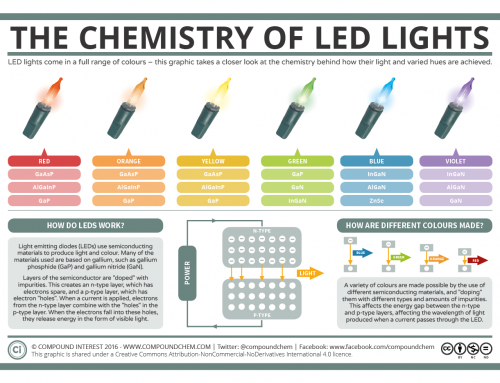 After all, there are plenty of chemicals out there that contain a large number of alternating double and single bonds and are consequently coloured, but significantly fewer of them are fluorescent in the same manner as highlighter inks. This is, however, also possible to explain with chemical structure and absorbance. 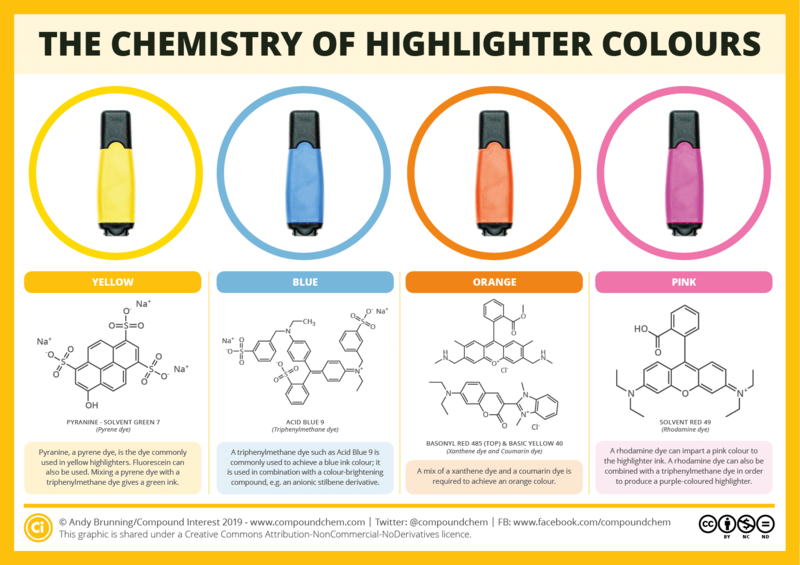 As well as absorbing visible light, the chemical structures of the dyes used in highlighter inks also absorb light in the ultraviolet portion of the spectrum. When the electrons in the molecule absorb this light, they are ‘excited’ to a higher energy. The electrons do not remain in this higher energy state, but ‘relax’ back to their original state, releasing the excess energy in the form of light. This light generally has a longer wavelength than the original absorbed light; as such, despite original absorbed light having a wavelength in the ultraviolet portion of the spectrum, when it is emitted, it can be in the visible portion. These fluorescent pigments, then, are constantly undergoing this process, and emitting visible light as a consequence of absorbing UV light. This isn’t too noticeable in normal daylight, but under a UV light, it’s exceptionally pronounced, and gives highlighter inks their fluorescent appearance. Finally, though the dye is the vital ingredient, it makes up no more than 5% of the ink. The vast majority of the rest of the ink is a combination of a glycol solvent and water; it can also contain a biocide to prevent the growth of bacteria or fungus in the ink.